Last month, the virtually unknown horror movie "Devil Inside" managed to score huge box-office returns despite being loathed by critics and exiting moviegoers. So you can imagine how interested we at PB were to see how "Chronicle," a movie that uses the same "found footage" technique but actually got decent reviews, fared at the box office and in our standings. Let's look at the final chart via Box Office Mojo. For the dead of February, this is a pretty impressive little chart. But it becomes even more impressive once you factor in critical acclaim and small budgets. But what do things look like when you run the numbers through our proprietary formula that accounts for theater count, critical reception and box office haul? REVEAL THE STANDINGS! While there have been a good number of found footage backfires ("Apollo 18"), the genre tends to perform well because A) It's cheap to make, B) You don't (and in fact, you really can't) use stars, and C) The gimmick makes for an irresistible hook. So many people watch reality TV at home that there's a comfort in taking that cinema verite idea and incorporating supernatural elements into it. 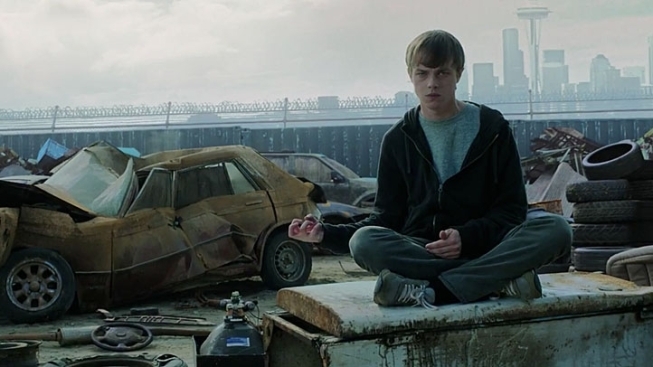 Thanks to "Chronicle," you can expect a whole lot more of these movies in the future. Are you ready for a "found footage" romcom? There WILL be one. I promise you.